At Ascot Aesthetic Implants & Dentistry, we understand better than most just how much of a positive impact an attractive smile can have on someone’s life. So, if you feel self-conscious about dental stains, chips, cracks, or gaps, know that we have a wide selection of cosmetic treatments that can make those flaws completely disappear. In just one or two easy appointments, we can give you the big, bright, and beautiful smile you’ve always wanted, and to get started, all you have to do is give us a call today. Why Choose Ascot Aesthetic Implants & Dentistry for Cosmetic Dentistry? A lasting way to achieve aligned, beautifully shaped, and white teeth is with porcelain veneers. With this treatment, Dr. Ruff applies a thin, fingernail-like sheet of porcelain to the surface of your teeth. Porcelain veneers preserve and strengthen the natural structure of your teeth while improving their size, shape, and color. Dr. Ruff may recommend veneers when you have moderately fractured front teeth. She can also use them to hide permanent stains as well as straighten misaligned and misshaped teeth. Porcelain veneers are a great way to achieve a dazzling smile. When repairing teeth that show prominently in the smile, we won’t simply apply a gold or silver crown and call it a day. To preserve a person’s appearance, we can now create strong and durable crowns and bridges from 100% dental porcelain. This material can be shaped and shaded to mimic natural enamel in almost every way, even down to its slight translucency. With it, Dr. Ruff can create a restoration so lifelike, even you will have trouble telling it apart from your natural teeth! For patients looking for a quick fix for minor stains, chips, or gaps, direct bonding is a much more affordable solution compared to porcelain veneers or a dental crown. Dr. Ruff will apply a color-matched composite resin to your tooth and sculpt it to look like a regular part of the enamel, hiding any imperfection along the way. The procedure itself only takes about an hour, is completely painless, and the results can easily last for a decade or more. Many people become interested in tooth whitening around the time of a special event, such as a wedding or reunion. This is because whitening is one of the simplest and most dramatic things you can do to improve your overall appearance. 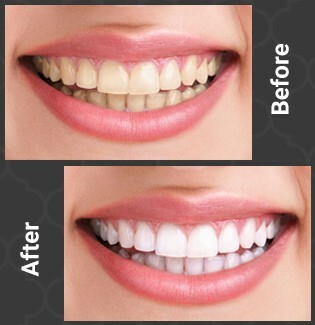 Optimal natural whiteness can be achieved with our custom tray-bleach system within 7 to 10 days. Let us know if you would be interested in having a brighter, whiter smile! Sometimes, the problem with your smile is not your teeth, but your gums. If you flash more gum than teeth when you smile, Dr. Ruff can correct this problem with crown lengthening. With this treatment, the gum line is adjusted or raised to improve the appearance of a smile. Dr. Ruff may also suggest this procedure if your teeth look asymmetrical, too small, overly wide, or too short. If you think your smile is too "gummy", please schedule a consultation with Dr. Ruff. When you want to create a beautiful, new smile for yourself, you may need more than one aesthetic service to achieve the look you want. Dr. Ruff can combine our services with a cosmetic makeover. During these sessions, Dr. Ruff will examine your mouth, noting specific factors – the length of your smile the width and height of your face – in order to create a completely beautiful and unique smile just for you.